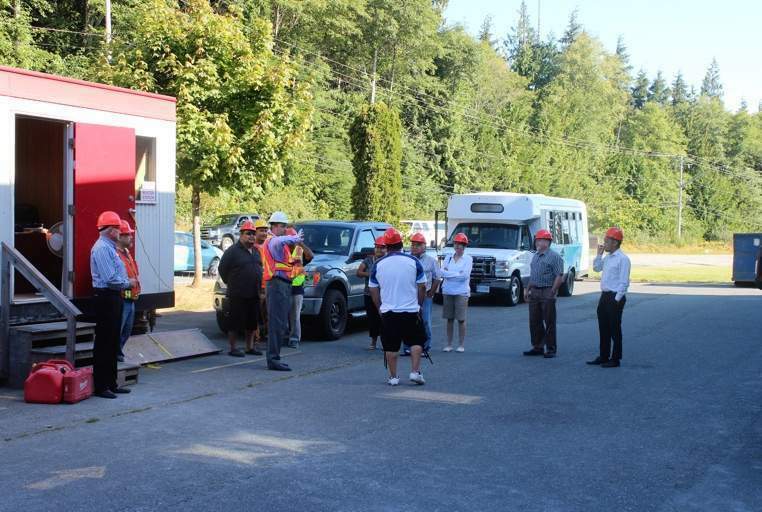 Conrad Browne, CEO of KEDC, led Chief and Council on a special tour of Kwa’lilas Hotel last week to better understand the progress and challenges of hotel construction. It was the first time behind the scenes at the hotel for many councilors. They got a preview of a staged room in the hotel, which was decorated featuring artwork by local artists. The members were very impressed with the progress and are looking forward to seeing the finished product. Kwa’lilas Hotel is aiming for a soft launch in September 2016. 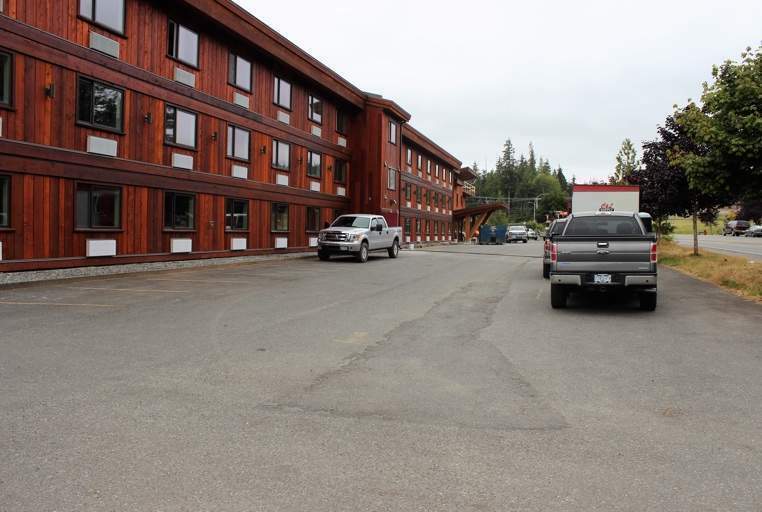 The sleek new look of Kwa’lilas Hotel after the installation of cedar siding. 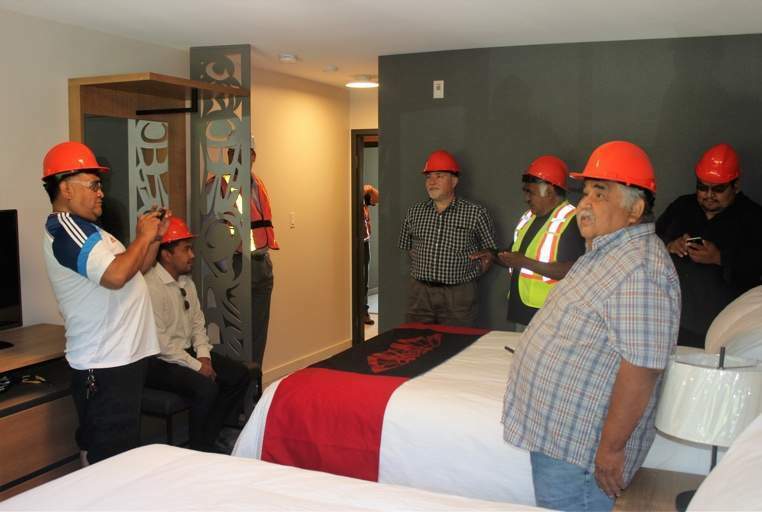 Chief and Council get a sneak peek of a staged room in Kwa’lilas Hotel, complete with artwork designed by local artists. Conrad Browne, CEO of KEDC, shares details about the construction process at Kwa’lilas Hotel with Chief and Council.